Save up to $200 on AXE Compression Forged Gloss Black wheels at CARiD - Sale! Your truck could be perfectly specced and feature loads of mods, yet it wouldn't look complete until you get it outfitted with a set of decent custom wheels. 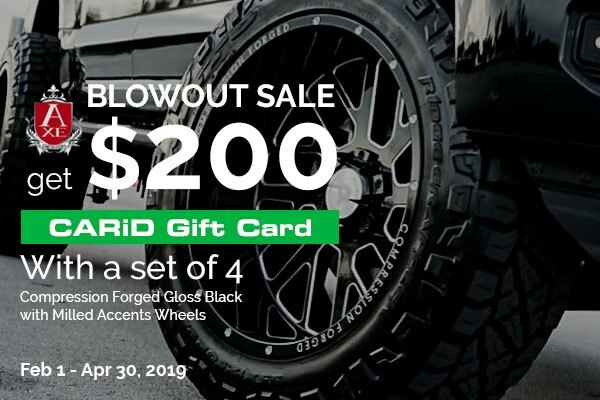 Today you can get $200 CARiD Gift Card for the next purchase with a set of 4 AXE Compression Forged Gloss Black wheels with Milled Accents and spend it for other upgrades for your truck! Hurry up to place your order before April 30th.